Week 9 was a hard week. It opened with a solar eclipse, which I had traveled to Columbia to view in its totality. I wasn’t sure whether I should make the trip give the looming semester and the hectic week before, but YOLO. I got up early Monday morning, and it was still really hot. I went back to the Columbia Canal Riverfront Park and there were already people there staking out their spots for the eclipse that afternoon, some 6 hours away. The trip took a lot out of me. I guess that should have been expected given that I had been going nonstop since Amsterdam and was still dealing with the dregs of jet lag. Plus it was really hot. Really hot. But the totality was really cool. Completely worth seeing even if it kinda wrecked me. This week saw me do 800s in 90 degree heat, a 6 mile tempo run, and an 8 mile tempo in the middle of my 15 mile long run today. I also finally got back out on the Cottonwood trail for a few miles to try out my shiny new trail shoes, which I’m super jazzed about. I know that running trails is an important element of a successful training cycle for me, but I often struggle to make myself drive there when to run on the road, all I have to do is go out my front door. But the soft surface, the irregular foot striking, the change of scenery–all of these things are important–so I’m glad I finally got myself back out there. All in all: 50 miles. 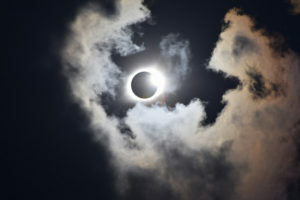 Honored that you used one of my eclipse photos on your blog! It was an awesome event, and I enjoyed my visit to South Carolina.